includes five plastic M4A3 (late) sprues (with 75mm turret / gun options; 76mm turret / gun options; 105mm gun option; & Uparmoured option) one plastic Tank Commander sprue & one US Tank decal sheet. The M4A3 was developed as a replacement model for the M4 and M4A1. 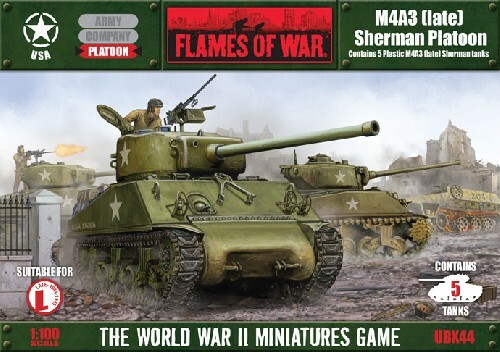 There are two major features that you can use to identify an M4A3 Sherman tank.